At Hilo Coffee Mill, your satisfaction is our highest priority. We are confident that your experience with hilocoffeemill.com will be good and we guarantee every purchase. Hilocoffeemill.com guarantees that our products meet the highest standards of quality. If your merchandise is found to be defective, you may return the item directly to the manufacturer. Sorry, no refunds or returns on purchases of food or drink items. Please note: We want your chocolates to arrive just as they left us. Because temperatures vary across the country, the best time to order chocolate is during the cooler months. But we can't control the weather,no matter when, so please keep this in mind when ordering. No credit or refund will be made on chocolates arriving in less than optimal condition. 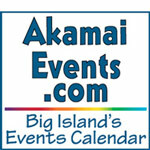 Mahalo for understanding. Hilocoffeemill.com is committed to exceeding your service expectations. We are knowledgeable and we respect our customers. If you have any questions, email us at customerservice@hilocoffeemill.com or call 1-866-982-5551. 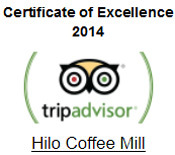 We promise to work hard to make every experience with Hilo Coffee Mill a satisfying one. You can shop at www.hilocoffeemill.com online with confidence. We have partnered with Authorize.Net, a leading payment gateway since 1996, to offer safe and secure credit card and electronic check transactions for our customers. www.hilocoffeemill.com is registered with the Authorize.Net Verified Merchant Seal program.